‘S e baile mòr eadar Nürnberg agus Frankfurt ann an cridhe na Gearmailte a th’ ann am Würzburg (IPA: vʏɐ̯tsbʊɐ̯k). Tha e suidhichte aig 177m os cionn ìre na mara, ri taobh na h-aibhne Main ann an stàit na Baidheirn. Tha am baile 152km air falbh bho Erfurt, 96km bho Frankfurt, 220km bho München agus 389km bho Bherlin. Tha 124,698 duine a' fuireach ann. Chaidh Würzburg a chlàradh ann ann 704 mar Castellum Virteburch, ged a thathar dhen bheachd gur ann às an t-sean Ceiltis Briga (Gàidhlig: Dùn) a tha an t-ainm. Stèidhich an naomh Bonifatius à Sasainn sgìre-easbaig an seo ann an 742. Thogadh an cathair-eaglais ann an stoidhle ròmaineasg eadar 1040 agus 1225 ann an àite far a thogadh a' chiad eaglais ann an 788. Chaidh oilthigh a chur air dòigh ann an 1402 le Pàp Bonifatius IX agus Easbaig Johann von Egloffstein. Dhùnadh ann an 1415 e ach chaidh ath-stèidheachadh ann an 1582. B' e prìomh-bhaile na Àrd-Dhiùcachd Würzburg a bh' ann bho 1806 gu ruige 1814, nuair a chaidh a thoirt a-steach gu Rìoghachd Bayern. Chaidh a' chiad thaigh-gnìomhachais innealan clò-bhualaidh san t-saoghal a stèidheachadh an seo ann an 1817, air an robh Schnellpressenfabrik Koenig & Bauer. Bha mu 2,000 Iùdhaich nan tàmh sa bhaile nuair a thoisich an Darna Cogadh. A rèir figearan nan Nàsach fhèin, chaidh 2,063 an toirt air falbh gu campaichean ioma-losgadh eadar An t-Samhain 1941 agus an t-Ògmhios 1943. Chaidh a' chiad bhuidhean gu Riga ach an uair sin chaidh an toirt gu àiteachan eile mar Izbica, Krasnystaw, Theresienstadt agus Auschwitz. Cha robh ach 29 Iùdhaich beò anns a' bhaile aig deireadh a' chogaidh. 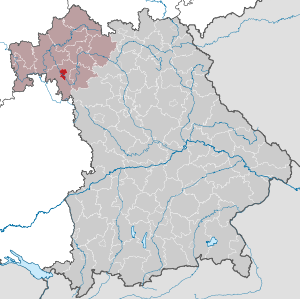 Air a tharraing à "https://gd.wikipedia.org/w/index.php?title=Würzburg&oldid=527311"
Chaidh an duilleag seo a dheasachadh 30 dhen Fhaoilleach 2017 aig 17:43 turas mu dheireadh.